Filed under: General Stuff |	Enter your password to view comments. I went back from Egypt on 18 October. 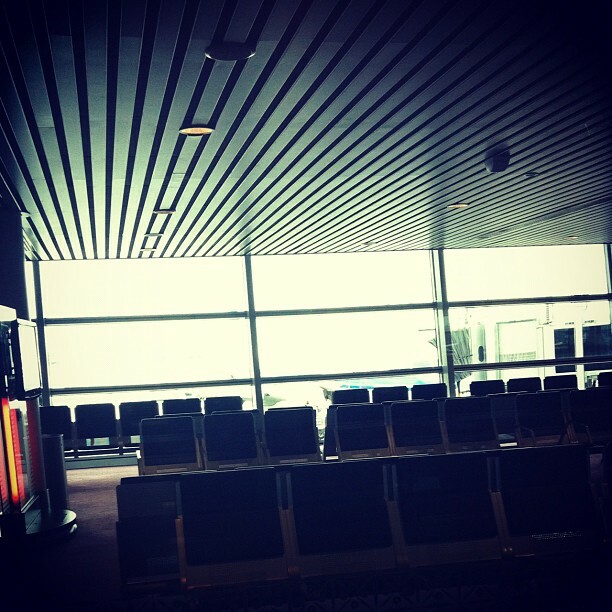 Due to 8 hours of transit, my parent and I arrived at KLIA on the afternoon of 19 October. It felt so weird, and different, knowing that you don’t know when will be the next time you are going to walk along the path, from the airplane, to the arrival hall. If, I decided to go to the oversea for any reason, I most probably will be using AirAsia, which means, going to the LCCT airport. These are the path that I’ve been through in my six years of studying in Egypt. Meanwhile, I am now officially an unemployed. Haha. I do have some savings, but they were in the foreign currency. But I felt so reluctant to exchanged them. Today I shopped things for my desktop. And I felt so sad because I am broke. I mean, there are so many things that I want to buy, eventhough I don’t know if I ever use them, or at least know their function. I kept telling myself that I’m going to buy them when I got my salary. However, a thought came into my mind. I watched a Korean drama titled “Smile, You”, long time ago. This drama showed a family, consist of a grandfather, who was the leader of the family, his sons and daughter in law, and his grandchildren. That grandfather lives so poor, as he was a driver. But, he still able to raise his family, and even bought a house and a bit of land. I was so touched by the drama, because it shows that we don’t really need to spend on the expensive stuff just because they looked better and maybe more convenient to us. In the drama, they show how the family, albeit living so frugally, yet they don’t have any outstanding debt. But me, I want to live frugally, but it seems so difficult. Like, I am looking for a tiny speaker for my desktop. I thought I would just pick any cheap speaker as long as it is a speaker. It seems that, the more money you have, the more you wants. I have spend the money that my mother left in my bank account, the “emergency money” which supposed to be only used whenever the needs for me to go back to Malaysia immediately. Thank God there weren’t any needs. And, when my parent visit Egypted, there were some money left inside my account. It was spent too. Annie and Lillian is bestfriend since they were little. So this scene shows they were exercising in the park. They were exercising behind the tree while listening to the trainer (read: free advice). Then they run away when the trainer threaten to come to them. When I was 7 years old, my family and I moved to Lenggong, from Kuala Kangsar. The house is in two levels. We live on the groundfloor while my grandparent live upstairs. The house next door is not next to each other like the neighbourhood that I lived in Kuala Kangsar. The night at the village is so silent at that time. Television only have three channels. And my parent conquered the TV. My entertainment would be listening to my grandmother’s story. She is so good in her story telling. I remember that when she was telling her story, I’ll keep silent, and as her words gets into me, my brain will try to imagine what it would be like. There are many stories that she told me but I only remember a few of them. One of the story was about her experience during the Japanese occupation. Also the method of torture which is by forcing a person to drink the soap water. Then the Japanese stomp his stomach. And the story of putting charcoal on the women’s face as to make them less pretty so the Japanese will not disturb them. And I think the spirit of patriotism is fading from the Malaysian citizen because we are seeing the poor administration. I am not saying the government is 100% wrong but it could be better. So, it can’t be helped that some people not proud of Malaysia. Malaysia, has Islam as it official religion but we don’t see how Islamic we are. Maybe a lot of thing have the word “Islam” in it but we should practise Islam in our life. Live honest and humbly, keeping the good relation with people without ulterior motive, and putting finding hasanah/pahala as our top priority. However, to end my post, I am grateful with Malaysia as it is, but I hope Malaysia and even to myself could have been better. After all without the peace maybe I won’t get the chance to further my study. Enough, is never Enough, when it is about improving yourself. Happy Independence Day for the 55th years.